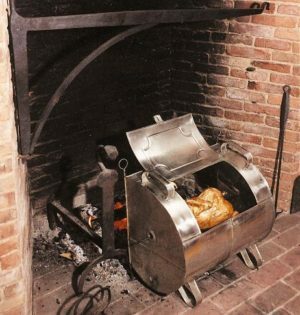 Hammerworks is proud to offer you the only true Early American Reproduction Tin Reflector Oven in the industry. This completely handcrafted tin oven is more than an outstanding hearthside accessory. It is a fully functional tool that allows you to roast and bake using the same method as early Americans. You and your family will enjoy the experience of cooking in this manner, in about the same time a modern oven requires.